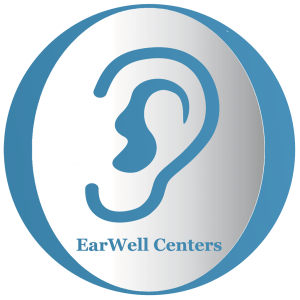 Dr. Steve Byrd’s lifelong philosophy for the EarWell ear molding device used during infancy was to prevent the psychosocial distress that a majority of children with abnormal ears experience throughout their lifetime. He believes that global education on the application of this nonsurgical device used during infancy will prevent the dissatisfaction or social maladjustment caused by prominent misshapen ears in babies. The published tests used in research studies by leading researchers continue to support a positive outcome. Cryptotia is a relatively common congenital ear malformation that can be difficult to correct with surgery. Treatment should be started before the first 6 weeks of life. Lily N. Daniali, M.D. Kameron Rezzadeh, M.D. Cheryl Shell, A.P.N. Matthew Trovato, M.D. Richard Ha, M.D. H. Steve Byrd, M.D.. Conclusion: The EarWell System was shown to be effective in eliminating or reducing the need for surgery in all but the most severe malformations. (Plast. Reconstr. Surg. 139: 681, 2017.) From Pediatric Plastic Surgery Institute. Received for publication April 4, 2016; accepted September 1, 2016. 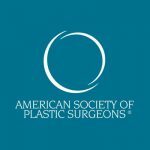 Copyright © 2017 by the American Society of Plastic Surgeons. The Becon EarWell Infant Ear Correction System is a rigid plastic mold used to reshape newborn infantsʼ ears within the first few weeks of life. Anne Machalinski is an editor at Weill Cornell Medical College. EarWell Article in the Cornell Chronicle -Weill Cornell Medical College and NewYork-Presbyterian/Weill Cornell Medical Center. Melissa A. Doft, M.D. Alison B. Goodkind, B.A. Shawn Diamond, M.D. Jennifer I. DiPace, M.D. Ashutosh Kacker, M.D. Anthony N. LaBruna, M.D. New York, N.Y.
From the Division of Plastic Surgery, Department of Surgery, and the Departments of Pediatrics and Otolaryngology, New York-Presbyterian Hospital/Weill Cornell Medical Center. Received for publication June 9, 2014; accepted August 8, 2014. Presented at the American Academy of Pediatrics 2012 National Conference and Exhibition, in New Orleans, Louisiana, October 20 through 23, 2012; The Aesthetic Meeting 2012, in Vancouver, British Columbia, Canada, May 3 through 8, 2012; the 2012 New York Regional Society of Plastic Surgery Resident’s Night, New York, New York, March 12, 2012; and the 2012 Plastic Surgery Senior Resident’s Conference, in Tampa, Florida, January 18–21, 2012. 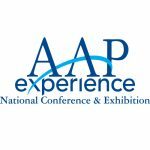 Copyright © 2015 by the American Society of Plastic Surgeons. Sunday, October 21, 2012: 12:08 PM, Room 203 (Morial Convention Center) Phileemon Eric Payne, MD, Damien Mitchell, Matthew Trovato, MD, Thomas Kevin Cook, Richard Y. Ha and Michelle Kravitz, (1)Craniofacial and Plastic Surgery, The Craniofacial and Plastic Surgery Center of Houston, Houston, TX, (2)Pediatrics, Forest Lane Pediatrics, Dallas, TX, (3)Craniofacial and Plastic Surgery, Medical City Children’s Hospital, Dallas, TX. Conclusions: The EarWell Infant Ear Correction System is an easy and universal system successful in achieving good to excellent results in 93.5% of ear deformities. This study confirms that early and proper diagnosis of ear deformities is essential in achieving excellent results. Conclusions: Congenital ear deformities are common and only approximately 30 percent self-correct. These deformities can be corrected by initiating appropriate molding in the first week of life. Neonatal molding reduces the need for surgical correction with results that often exceed what can be achieved with the surgical alternative. From the Department of Plastic Surgery, University of Texas Southwestern Medical Center at Dallas; Children’s Medical Center Dallas; and the Department of Pediatrics, Baylor University Medical Center. Received for publication January 18, 2010; accepted March 22, 2010.